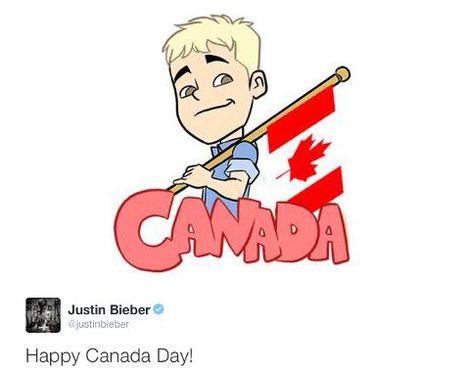 Canada's top export, Justin Bieber, celebrated his homeland in true Bieber-style! 6. Canada's top export, Justin Bieber, celebrated his homeland in true Bieber-style! Well, when you're the biggest celebrity in the country, you have to use your VERY OWN PERSONALISED EMOJIS, surely.